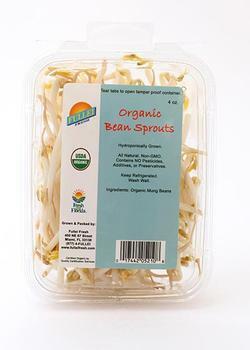 Fullei Fresh of Miami, Fla., is recalling Organic Bean Sprouts that may be contaminated with Listeria monocytogenes. There are no reports of any illnesses associated with this recall to date. The recalled product, packaged in 4-oz., plastic clamshells, has a lot code 041, a sell by date of February 28, 2019, and the UPC code 017442052108, was shipped to Whole Foods Markets in Florida and Freedom Fresh (a Miami distributor) on February 18, 2019. Consumers with questions may call (305) 758-3880 Monday through Friday, 8:00 AM – 4:00 PM (EST).